• Durable Hold - Strong, flexible resins whip hair into shape and provide long-lasting hold. • Moveable Texture - Mesh-like fibers create pliable definition or separation. • Matte Finish - Formulated to dry down to a strong matte finish for a clean and fresh experience. Melaleuca Alternifolia (Tea Tree) Oil: A completely natural non-toxic disinfectant and germicide known for its healing properties. Ozokerite: A flexible, body-building styling agent. Copernica Cerifera (Carnauba) Wax: Non-oily cosmetic wax. VP/VA Copolymer: A high-shine, flexible, body-building styling agent. Vinyl Caprolactam/VP/Dimethylaminoethyl Methacrylate Copolymer: A flexible, body-building styling agent that adds high shine. PEG-40 Hydrogenated Castor Oil: An ingredient derived from the castor bean, which contains essential fatty acids; an excellent humectant. "Nice fresh clean smell and my clients love how light it is. You can still run fingers through hair and styling still holds up." "I love to use this on my edges for a smooth look. A small amount go's a long way! Great for ethnic hair!" "I love to use this on edges for a smooth look. A small amount go's a long way! Great for ethnic hair!" "This product works well with enhancing texture in your style with strong flexibility and holding power!" "This product is great for men with unruly beards that also struggle with extremely oily faces. 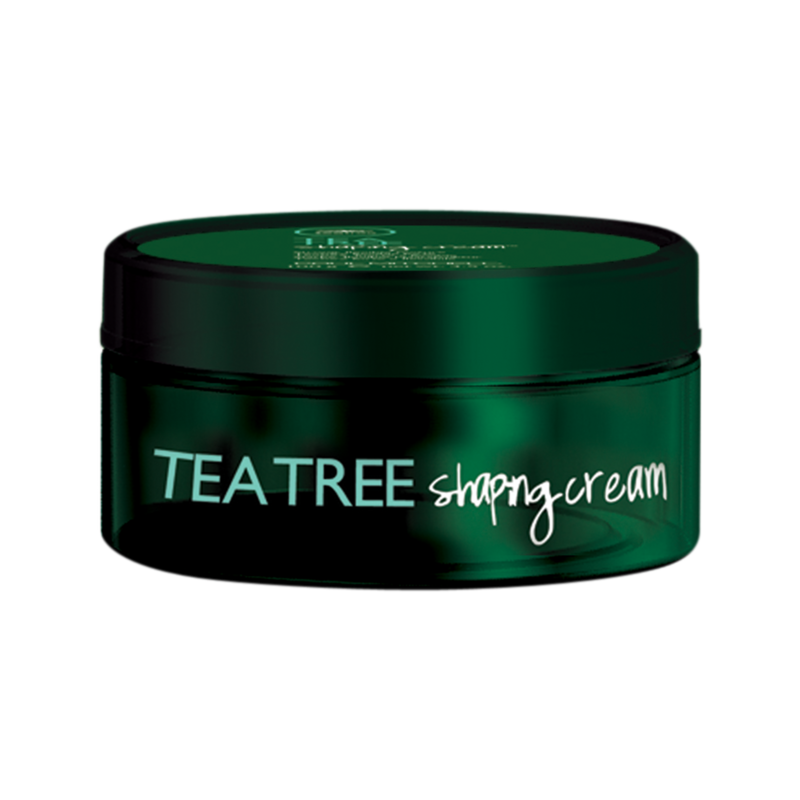 The tea tree keeps it from adding oil to the face while providing some stability in beard shape." "It's more of a satin finish. Smells AMAZING. Dime size is enough to start. Use more if needed. Adds beautiful texture. Fantastic with curls as well." "Gives great flexible hold with no flakes and added shine! Works well for both men and women:]"
"Most of my men clients love this product, due to, medium hold, matte finish, smell and feel of product. Washes out easily too!" Great product for the client no shire and good control. "Shaping cream is for the client that needs a little hold without shine. Easy and quick to use." "I love using this for a men's finishing product, for a light hold to set the hair into place, and it leaves the hair flexible and shiny." "Works perfect for me. It’s light and non-greasy. It’s really easy to restyle hair if it happens to get messed up, you just need to add a little water to it." "The smell is very subtle, but nice. It’s easy to work through hair but I was expecting a little bit stronger hold. All-in-all not bad."